Custom Metalcraft, Inc. is a privately owned, two- family business. Swirl Polished finish is special order. But isn't it pretty? 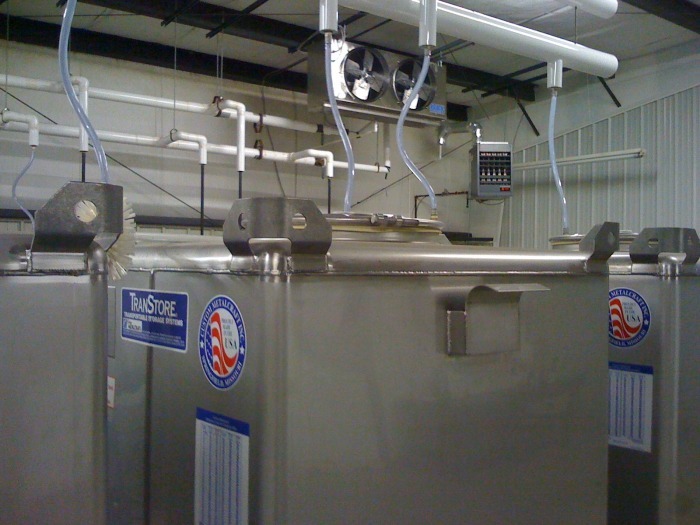 Tank cooling systems designed for variable wine cooling capacity. Modular wine tank utilization-a concept wich grows with your winery. 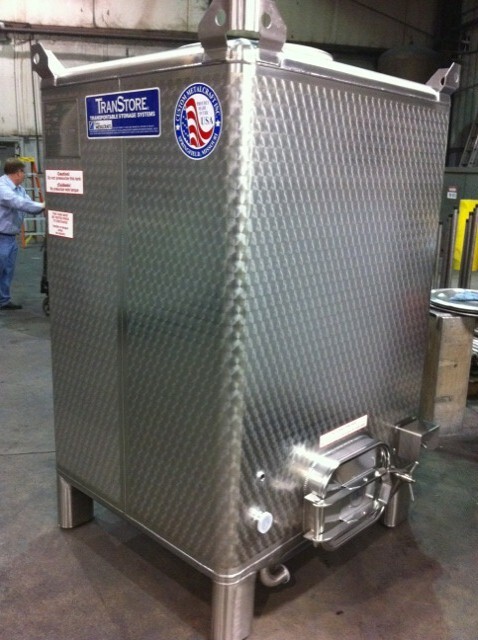 Storage Efficiency- A cube- shaped wine tank is a better use of floor space than a cylinder. Stackability- Stack wine tanks full or empty. UP TO THREE HIGH- FULL!!!!! Startups- Modular wine storage for smaller production wineries. Low ceiling wineries use shorter wine tanks to maximize space. Blending wine in these portable wine tanks is easy. 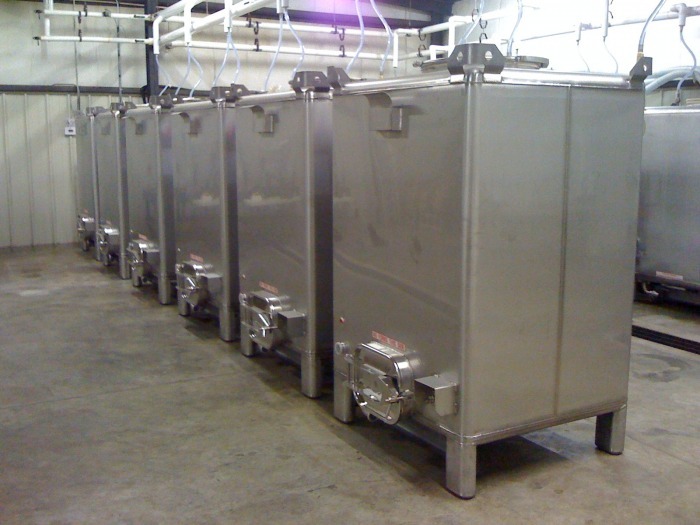 Sanitation- Rounded corners and a tank with welds made for wine are easier to clean. Rugged Construction- These square wine tanks will retire long after you.